Champions of the trusty waterproof jacket and experts in essential walking and hiking equipment , Berghaus consistently impress us with their great-looking ranges for all seasons and worldwide climates. Founded in 1966, Berghaus have continued to innovate and create incredible gear for people who live for adventure. 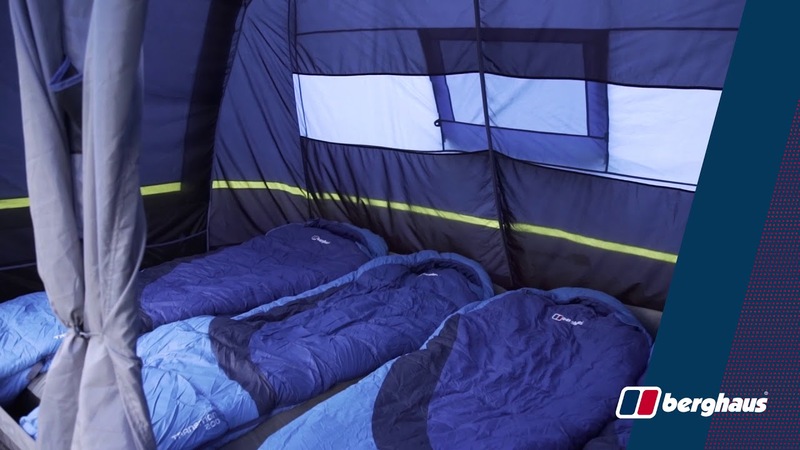 Whatever your kit list is missing, men’s Berghaus jackets, women’s Berghaus jackets, Berghaus backpacks or even our exclusive berghaus tents, it’s all here, and at a price which won’t break the expedition budget. Your mission is their mission. So, whether you’re tackling your first Munroe or making for Everest Base Camp, you’ll find something to excite you, in this, the world’s most extensive range of British designed, mountain ready gear. Founded in 1967 by two passionate alpinists, Berghaus started off life as a small import and export business basically servicing the owner’s, and their small group friend’s climbing needs. Tired of compromising their ambitions because of what they saw as inadequate gear the two friends started producing their own equipment. Designing and making rucksack from the top floor flat of their shop in Newcastle. After several years tinkering with the traditional rucksack design, the breakthrough came in 1972 when they put the frame on the inside of the bag - revolutionary then - now a fundamental design principle.Over the next two decades, Berghaus continued to innovate in the luggage category, winning awards for their adjustable back systems, ventilation and compression technology. Some of these packs became iconic for their performance and new generations are available even today, such as the Freeflow, invented way back in the 90’s.Finding their stride in the equipment market, Berghaus turned their attention to waterproofing. Introducing the western world to GORE-TEX® as early as 1977. A partnership which they’ve continued to develop, as one of the biggest users of GORE-TEX® Paclite® fabric in Europe today. Berghaus continued to be inspired by the planets grimmest weather, inventing the world’s first waterproof gaiters and designing a new layering concept, which introduced the idea of wicking to the outdoor market. At its heart a climbing brand, Berghaus also introduced the Extrem® range around this time, designed for serious, high-altitude mountaineers. A flagship range which is still the gold-seal of bomb-proof clothing.Still based in the North of England, their operation has expanded slightly from their one-door shop in Newcastle but the spirit of the company hasn’t changed. Now with award-winning offices, a world-class laboratory and the world’s most foremost designers, the possibilities seem endless but the idea, to inspire and be inspired still stands. Berghaus has, over the years become known for the personalities who wear their clothes as much as the clothes themselves. Whether it’s sponsoring athletes or hiring them, climbers such as Sir Chris Bonnington, Leo Houlding and Mike Fowler have all proudly waved the Berghaus flag.Berghaus is synonymous with climbing culture and to one extent or another they have been instrumental in supporting some of the world’s most ambitious projects. From first ascents to record breaking attempts, Berghaus has been the silent 3rd member of countless teams. Much more than just an exercise in branding however, this sponsorship allows them to test their gear in the most extreme environments in the world. Field testing is still an intrinsic part of the design process, with every garment rigorously tested by an elite team before it is put into production.It is this practical feedback from first-hand experience in the field which makes their gear so dependable. Scrutinising a seam to eliminate cold, lifting a pocket to improve belay, one-handed glove zip-pull, every detail is considered, no matter how small, and it is this attention to detail which has built the brands reputation for reliability. From the snow-capped peaks of the Himalayas to wet and windy Welsh mountains, Berghaus is known for its weather-beating gear the world over. More than just a climbing brand though, they aim to equip you with the gear you need to feed your mountain need, whether that’s with an ice pick in your hand or an energy gel.Having recently released the most breathable GORE-TEX® Active jacket in the world - the GR20 Storm - their foot is firmly in the door for lightweight gear. And if you’re looking for somewhere to test it, how about the Berghaus Dragon’s Back Race™?Billed as the world’s most gruelling 5-day mountain race, this ultra in the clouds, will not only test your kit but also your endurance, navigation and mental reserve. Just bear-in-mind only half the field finished last year. Whichever way you spin it, Berghaus care about the outdoors. But they understand that their passion can have an impact on the planet, both positive and negative. That’s why they’ve created a sustainable, ethical and accountable approach to their production process. It’s called MADEKIND™ and eco-warriors can rest easy that the products they are buying, if they see this stamp, are kinder to the planet.No other company is looking at environmental issues in such a joined-up way and if you include their COLOURKIND™ initiative - reducing dyes - and their commitment to R.D.S. Approved insulation, Berghaus starts to look like a company which cares about the planet, just as much as they care about profits. 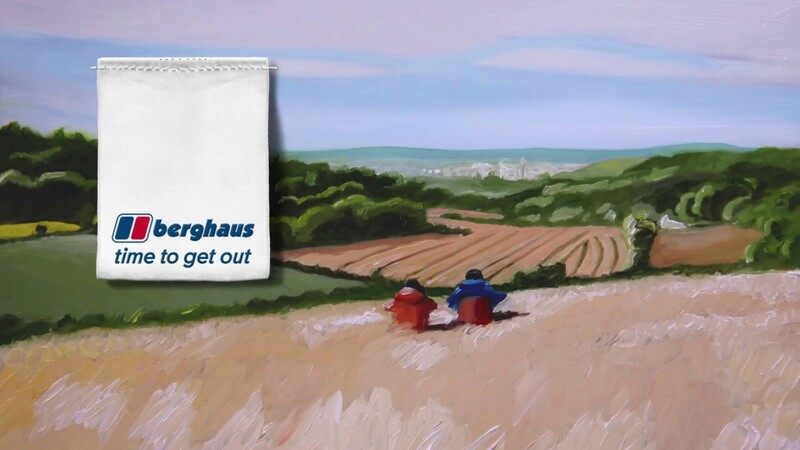 It’s been quite a journey for Berghaus, from their humble beginnings in Newcastle to the U.K.’s largest outdoor brand. But one thing will never change. The passion to inspire a meaningful life outdoors. So, whether you’re buying a waterproof jacket or a new family tent, let Berghaus inspire and challenge you in equal measure.